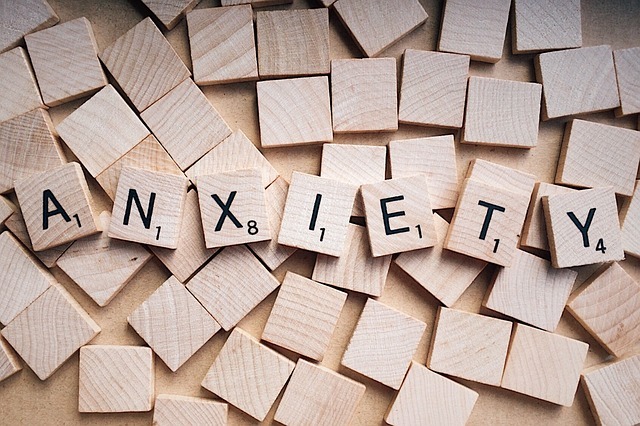 Generalised anxiety disorder in adults is probably the most common type of mental health problem, in fact it can be described as the ‘common cold’ of mental health problems because it is seen as the most common mental health concern. Generalised anxiety disorder or GAD as it’s known for short, has a number of physiological and psychological symptoms, which I will go into shortly. The first port of call when you are experiencing anxiety symptoms, should be your GP. This so you can get checked or diagnosed by someone who is allowed to do so. Most therapists are not allowed to make a diagnosis, however, we are allowed to treat the symptoms. Gad is driven by excessive worry and a sense of imminent doom or dread. This worry triggers a part of your brain called the Amygdala to sense threat and then to produce the symptoms of anxiety to help you either fight the situation or to flee from it. And because there is nothing to fight or flee from (because the danger is nearly always imagined) we tend to feel the symptoms excessively. When we feel these symptoms, it often affects our behaviour such as avoidance of certain situations, such as going out to a party or a work meeting. Sufferers will also try to avoid thinking about the things which make them afraid, this is called cognitive avoidance. There are various types of anxiety problems such as social phobia, specific phobia, panic disorder etc, and with these anxieties we know the cause and the triggers for the anxious feelings, however, with GAD the cause may not be known. It can be triggered by excessive worry about things turning out bad or may also be driven by a fear of the symptoms too. Such as, a person feeling very anxious and sensing danger but has no idea why. The body is reacting to imagined threat and it isn’t at all uncommon for a person suffering with anxiety to believe they may go mad and end up sectioned in hospital. Worrying is entirely normal for most of us. Worry is simply predicting the future in some way. Negative worry is predicting something bad happening and to a GAD sufferer, they will fixate on this and try to use worry to fix the issue or to prepare for the worst outcome. What kind of treatment is available for generalised anxiety disorder? It is common for your GP to prescribe medication for your symptoms, such as antidepressants like Citalopram, Sertraline or Prozac. Other common medications are amitriptyline and Buspirone. But these can help with the physical symptoms but don’t really fix the route cause of the reason why you are anxious. Psychotherapy, in particular CBT (Cognitive behavioural therapy), is a talk therapy which helps you understand your fears and worries so that you can challenge the worry. Therapy will also give you valuable tools you can use in the future to help yourself. Hypnotherapy can help you use relaxation when thinking about the worry, rather than the tension and anxiety you feel. It can help you create new associations between relaxation and being able to cope with the fears. It will help you readjust your beliefs that nearly all the times we worry about something drastic happening, it never does (well, rarely), and the very few occasions where the dread does come true, it is more often the case that the actual event is entirely manageable and nowhere near as bad as you’d imagined. Invest in your mental health! Take back control and learn to live again.